GNB got a quick chance to see some of new products. 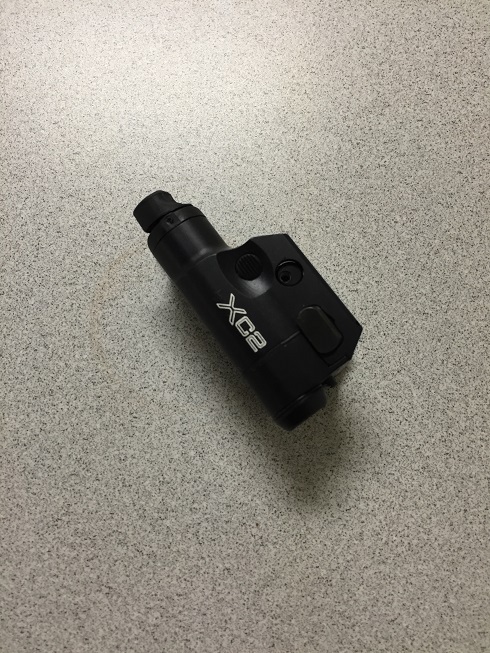 This is an ultra compact weapon light that improves over its predecessor XC1. One of major changes is the ability to use momentary on as well as constant on. Predecessor could only use constant on. To use constant mode, quickly tab the momentary switch. To use momentary mode, just press the tab and hold. Some people might remember Inforce APL's interface, and it feels similar. This light emits 500 lumens using one CR123A battery. 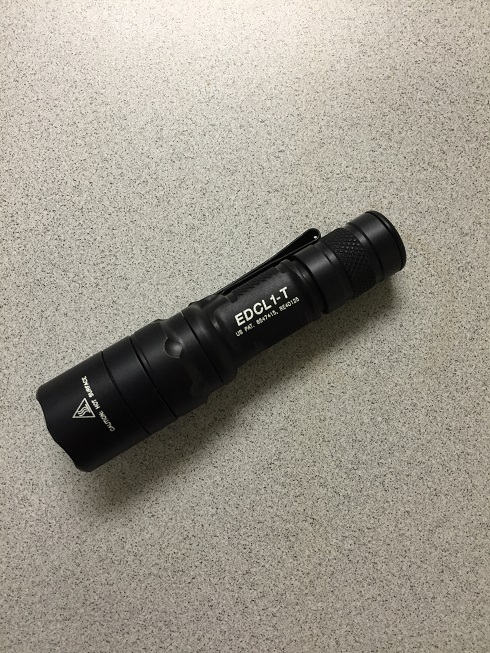 It uses tailcap switch that emits low light(5 lumens) when pressed slightly, and high output(500 Lumens) when fully pressed. This feature is a nice feature that makes it easy for user in non-threatening situation to quickly up the light output if things go bad. It also has a clip that allows it to be carried with bezel up or down in your pocket. If someone wants a light for casual use, but can be used for more dangerous situation, this should be a serious contender. This light has 5/800 Lumen output. Bezel can be rotated to have 800 Lumen or 5 Lumen. The tailcap switch is momentary, and can have constant on mode by twisting it. 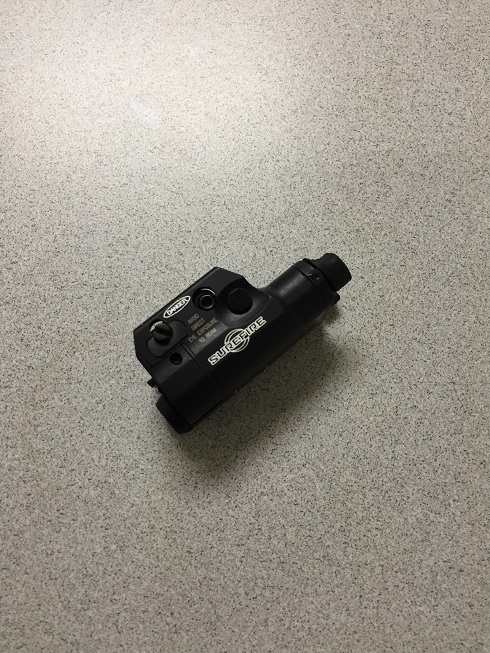 MASTERFIRE holsters come with screw holes compatible with Safariland mounts. Earlier productions didn't have that. Some light models were going to be dropped, but that has been postponed for now. SureFire tends to take conservative approach with adopting new batteries. But that doesn't mean they are not going to ignore them. Some countries have law prohibiting use of weapon lights. 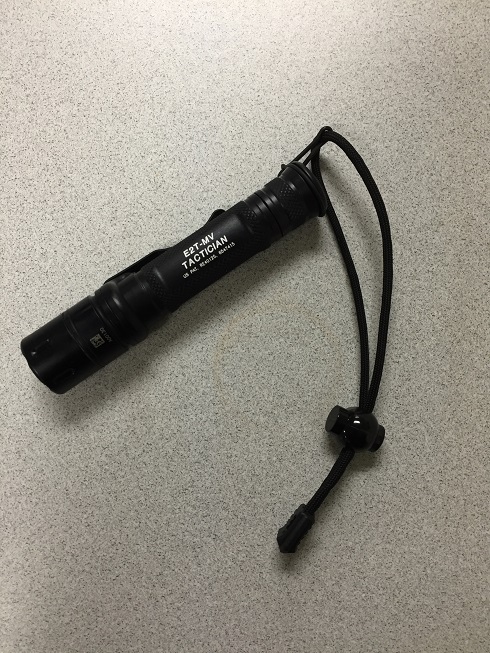 So wristlight was the solution that SureFire came up with.